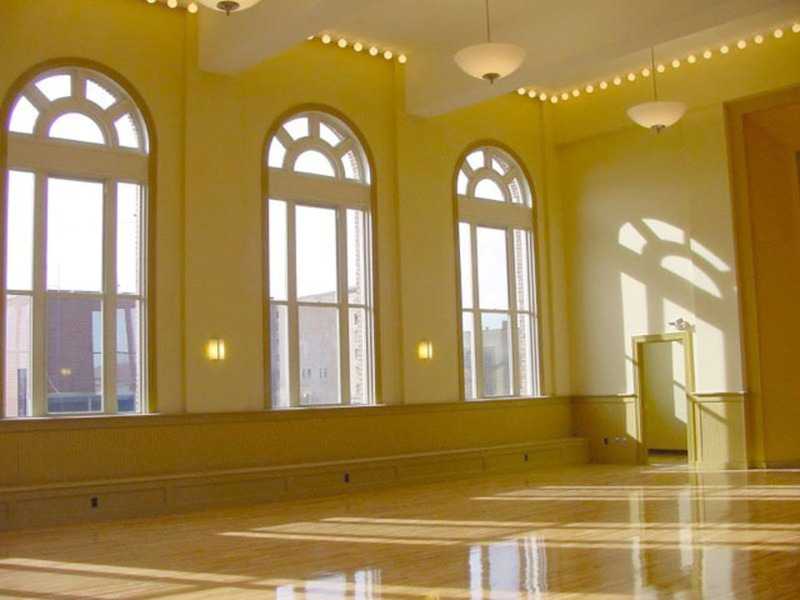 The Roxbury Center for Art, Culture and Trade at Hibernian Hall is a thriving center for the arts housed in a once-abandoned, historic dance hall, first built by the Ancient Order of Hibernians in the Dudley Square district of Boston' Roxbury neighborhood. The $6.8 million redevelopment was undertaken in partnership with Madison Park Development Corporation and its Arts, Culture, Trade Roxbury Consortium. The effort created an arts-oriented complex of retail, office, gallery, performance and gathering spaces in this historic structure, listed on the National Register of Historic Places. Funding for this exciting cultural resource included one of the first uses of federal New Markets Tax Credits in Massachusetts. The project architect was ICON Architecture and CWC Builders was the general contractor.